You are here: Home blog Why would you want a daily min/max graph? Posted on July 15, 2018	by Temperature Logger Admin	in blog	with Comments Off on Why would you want a daily min/max graph? I actually wanted the headline to be “why the hell would you want a daily min/max graph” but that may have been too confrontational. It does, however, indicate how strongly I feel about this. Just to be clear, before too many people jump to the wrong conclusion, I am asking why someone would want a daily min/max GRAPH. To explain why I hate the idea I want to take a stroll down memory lane first. Many years ago we only had thermometers for monitoring the temperature of fridges. To make the situation worse, the fridges were often domestic fridges with really poor control and the tendency to drift. The confusing temperature dial did not help matters. Since the fridges were so unreliable it was important for staff to check the temperature often. Min/max thermometers meant that it was possible to be aware of a problem even if you weren’t there when it happened. At the same time, however, if there was a problem, you didn’t want to be using or selling stock that may have been compromised. It was not practical to have someone check the temperature every 10 minutes. It was time consuming and was checking for a problem that rarely occurred. Consequently there was the need to check the minimum and maximum temperatures daily (or twice daily). “Strive for Five” focused on this for the storage of vaccines. A daily min/max record was required because it was the best solution at the time. There was, however, one upside to the daily min/max – a list of 28 to 31 readings on a single page is very easy to look at and understand. If everything was fine (which it normally should be) then the daily min/max report was the perfect was to show that you were actively checking. The min/max report was totally useless if things did go wrong. For example, what happens if you restock your fridge every couple of days and the temperature spiked to 12° each day, but only for 5 minutes. It’s not damaging your stock but the min/max report would show 12° each day. A min/max report is only useful if the temperatures are within the required limits. Unfortunately there are now too many procedures and requirements written around the daily min/max recording. 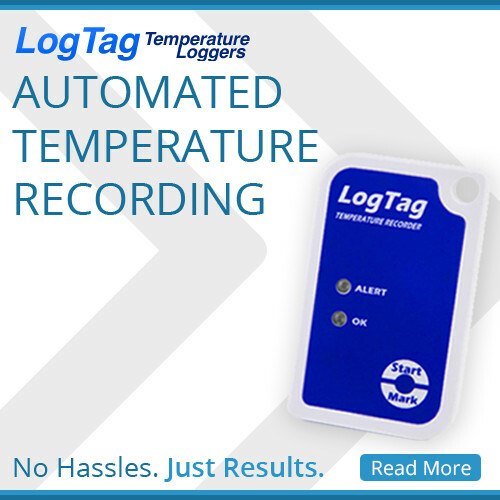 Temperature loggers solve all the limitations of a daily min/max report. When something goes wrong you know when it starts, when it finishes, how hot/cold it actually got to, and how long it was at the extreme temperature. That is critical information when considering if stock needs to be disposed of or customers notified. The downside of temperature loggers is that if you wanted to print all the data, it would take many pages. That’s a waste of paper all for something that someone won’t actually look at. A daily min/max report: This is a great way of summarising the data, but you will have to return to the software to see what actually happened if something did go wrong. And just by the descriptions above, you can see the simplicity in a graph. It shows everything in a fraction of a page. A picture is worth more than a thousand words. Which brings me back to my original question – why would you want a daily min/max graph? You want to strip all the information out of the graph and just be left with the daily peak and trough. You have no idea when these peaks and troughs started, if there were numerous ones or just one, and if you have a problem. You still have to go back to the data to see what actually happened. The graph may look nice and simple (two relatively smooth lines) but it has lost 90% of its meaning. I would go as far as to say without that 90%, the other 10% effectively becomes useless. While a daily min/max graph sounds fancy and friendly, it’s a rust bucket with a fresh coat of paint. Let’s get with the times and make the most of the simple, easy and affordable technology that we now have, and stop making compromises that we don’t need to anymore.